Budweiser is in danger of losing its "King of Beers" crown in the United States. Americans' beer tastes are changing. They are opting for fancier craft beers, microbrews and wines and spirits instead of old classics. That trend is taking a particular toll on Bud Light and Budweiser, whose share of the American beer market keeps shrinking. Parent company Anheuser-Busch InBev reported in October that its beer sales in the U.S. dropped more than 5% in the last quarter. "Budweiser has been declining for a long time," said Eric Shepard, an industry tracker at Beer Marketer's Insights. "Premium light [beer] doesn't have the popularity it once did." That's particularly true for younger drinkers, Shepard added. The drop-off in domestic beers isn't confined to just Budweiser and Bud Light: Molson Coors Brewing Co. (TAP), the maker of Coors Light and Miller Lite, announced last month that U.S. sales dipped nearly 3% last quarter. Related: Not America's beer? 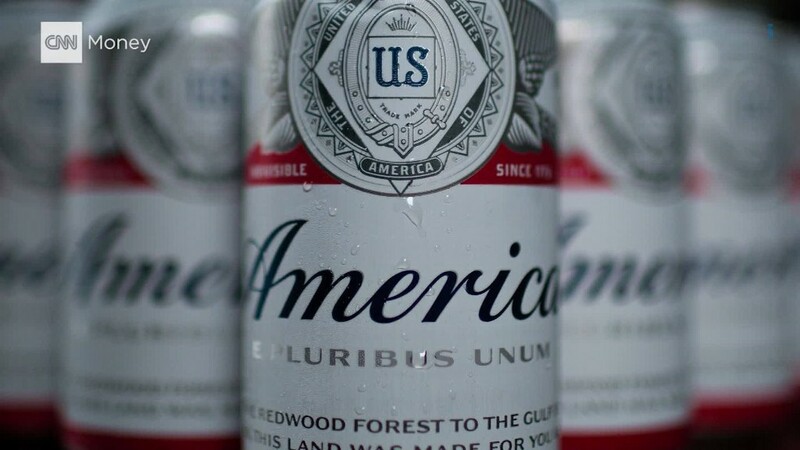 Bud sales fall in U.S.
Budweiser is betting on a management shakeup to help turn sales around. AB-InBev's announced on Monday that Michel Doukeris, A-B InBev's current chief sales officer, will replace João Castro Neves on January 1 as head of the company's North America division. The U.S. is AB-InBev's "most important market," CEO Carlos Brito said in a news release. Aside from the sales slump, Budweiser missed its last attempt to rebrand itself. A-B InBev's highly-marketed campaign to brand Budweiser as "America" on bottles and cans during the summer failed to catch on with beer lovers. Budweiser is now turning to its old Prohibition-era lager to return the brew to past glory. A-B InBev announced last month that it was releasing a limited-edition "1933 Repeal and Reserve Amber Lager" with a higher alcohol content than the regular beer for the holidays. Doukeris and the Prohibition-style bud will also have to compete with rising popularity of Corona and Modelo. Constellation Brands (STZ), the owner of the two Mexican imported beers, reported that sales increased 13% last quarter. Constellation is up 43% this year compared to A-B InBev's (BUDFF) 11% gain.